The famous Opera Mini web browser is ready to get from the Tizen Store for Samsung Z2. It is very famous mobile web browsing tool to access internet to visit the websites. Mostly mobile users prefers it on their smartphones to visit their everyday websites. Opera Mini Web Browser is the first third party browser to make its mark on Tizen platform. In the first initial months of Tizen it landed in Tizen Store. It is official app from Opera developers so you will get each and every features of it. That means also you will get Opera app updates on time to time. The interface is very clean and look very modern on every web pages. For better view every websites will by default open in mobile formats. It depends on your choice, later you can change it to desktop version. It supports pinch-to-zoom functions to zoom pages. In the bookmarks you can save your all favorite websites or directly web pages to visit them later. This feature will save most of your important time. Users can synchronize bookmarks from desktop computers to mobile devices. It allows users to download any kinds of files from the various sites. It also gives permission to download games and apps from its port but right now Tizen Store doesn’t support any third apps from unknown sources. May be this feature will helpful in future time. For the easy use of Facebook and Twitter, it has created special built in support for both these social media giants. The shortcuts will appear on the front screen and you can just tap on them to visit Facebook or Twitter accounts. Your most visited websites will shows on main page so in the future you don’t have to type them. It is also comes with data saving technology where it can saves up to 30% of your internet data by compressing web pages using Opera’s server. The Opera Mini Web Browser is now available to download on Samsung Z2. 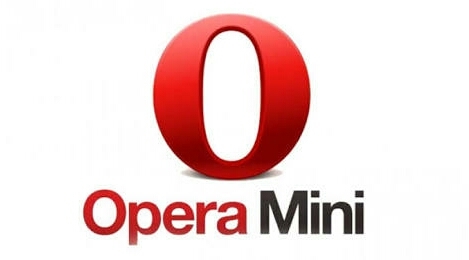 To use your daily websites and to save your internet data use Opera Mini Web Browser On your smartphone. It is now updated by Opera Software team and it works even faster. The OpenMobile developers have removed all ACL apps from Tizen Store, even UC Browser & UC Mini Browser. So all those users can use Opera Mini browser to access internet without compromising security and speed. Download Opera Mini Browser from Tizen Store. i have been trying to download operamini on my z2 and i just can’t help myself.what do i do? my samsung doesn’t have mini opera at all. why is that way? Help me to download Opera mini On this SamsungZ2 i have trying several times. And its not there on Tizen store what should i do? In my tizen store of Samsung z2 opera mini doesn’t have .how can I get it in there? How to download mini and app tizen on samsungZ2? An apps opera free upload in tizen store. Opera mini app is best app for tizen.